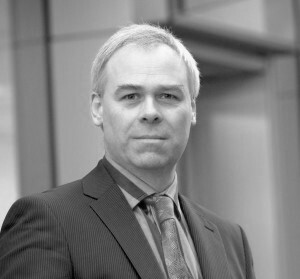 Gold-i, a leading UK-based technology provider to financial services firms, has enhanced its signature liquidity bridge. The firm will add a new function that regulates the amount of market data that feeds onto the broker’s trading platform thus reducing the amount of data the server handles. The new solution is expected to provide value-add for users as they witness lower down-time and the platform performs more efficiently. The new feature is a unique intelligent throttling tool, which was developed upon brokers’ demand by Gold-i’s development team. The tool acts as a filter and dynamically limits the number of price updates into the broker’s MT4 server, thus reducing the occurrence of price feed latency. Gold-i has been cooperating with a number of key clients in order to test the solution. Results from charting data show that the system successfully streamlines the same quality of data but at a reduced load. Gold-i’s UK-based development team first initiated the project over a year ago after discussions with clients, with the feature taking three to four months in production, a company spokesperson informed Forex Magnates during a telephone interview. The tool works on various price feeds brokers use both from bank and non-bank providers or vendors offering high-speed market data. Forex and CFD brokers using the popular MetaTrader 4 trading platform face numerous technical issues due to the terminal’s architecture. In relation to price feeds, the MT4 absorbs data in a queuing system, during volatile periods or those when prices change rapidly, brokers often find data hanging as the MT4 systematically inputs data from the multiple sources thus impacting the platform for end-users. The restricted framework means that the platform’s performance and stability are affected by changes in the market place. In the advent of high-speed trading and in an era where markets move in nanoseconds, early generation platforms find it difficult to cope with the increased data and thus effect the stability of the platform. Furthermore, brokerage firms that face issues of platforms stalling can be targeted by rogue traders looking to use price arbitrage mechanisms & trading strategies as they have the upper hand in knowing where markets have already moved. Gold-i offers one of the most advanced bridging solutions for forex brokers, apart from a range of functionality both on the front and back-end, the firm has a full array of liquidity providers assigned onto the bridge which allows users to trade across asset classes with a range of providers, be it spot FX, CFDs or financial spread betting. The firm also reported that this latest development is part of a series of recent upgrades to the market leading bridge. 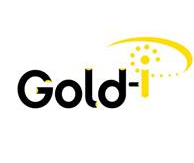 Gold-i has also added a number of new Liquidity Providers and Technologies, including IBFX, IG Markets, Broadway Technology and ADS Securities.